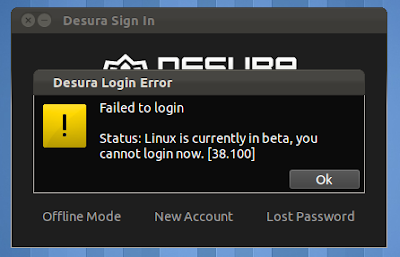 Desura Linux client is finally available as a closed beta for testing. A very limited group of people, who requested early access to beta 6 months back will be allowed to have access to closed beta. New users can also request an invitation by joining Desura group here. 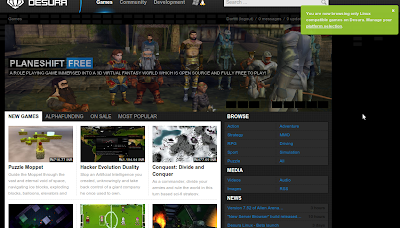 Desura website has been updated and a whole lot of new Linux games have been added. 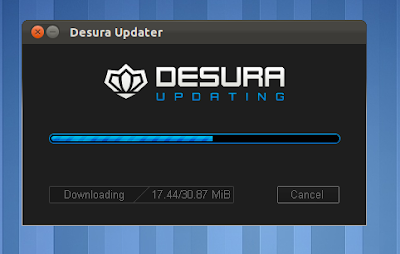 The main page of Desura now features a nice Tux icon at the top. Users are taken to Linux games database once clicked. Please keep in mind that while you can browse and buy the Linux games, you will only be able to download and play them if you have beta access. 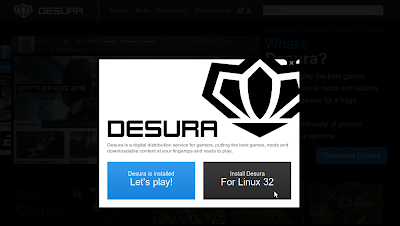 Also Desura Client for Linux can be downloaded from main website now. Once downloaded an auto updater starts and Desura is installed. If you don't have beta access, be prepared to get an error. Finally!! By the time you get the beta invitation, browse their current list of Linux games.